Many years ago our family did something kind of different at Christmastime. Whenever someone visited our home, we'd give them a peppermint candy cane. It was a small gesture to show our visitors they were special to us... and it was always received with smiles and appreciation. Today, I can't even remember the last time we had candy canes at our house. ... Not from the peppermint extract found in candy canes, but from peppermint essential oil! Peppermint is one of the most familiar essential oils... known for its cool and invigorating flavor and sensation. But there are many great peppermint essential oil uses that make it popular as well. 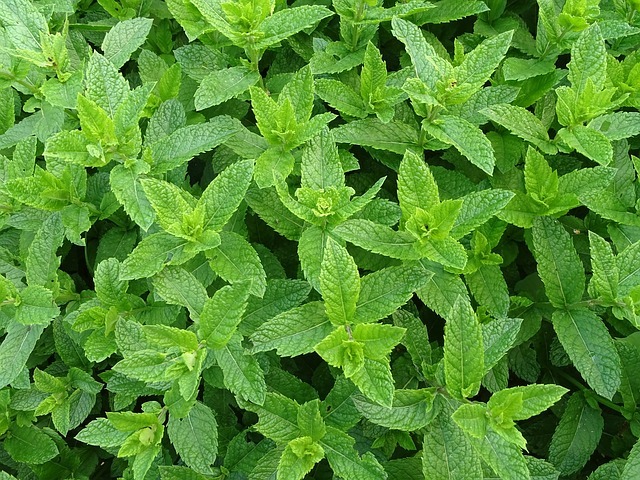 Here are five great reasons to use peppermint essential oil in your own household. Just a couple of drops mixed with a small amount of water or rubbed on the belly can be an easy way to encourage healthy digestion. By providing a sense of satiety, peppermint essential oil can be a good way to help you realize you've had enough at the dinner table. A small amount of peppermint rubbed on the chest or even swiped under the nose can be a great way to support optimal respiratory function. This is a neat trick for athletes seeking to maximize their performance as well. Diffusing peppermint essential oil in your immediate environment can be an excellent way to help you stay focused and attentive to the task at hand. Peppermint oil's invigorating quality makes it a great way to freshen up, either by applying it to the skin, drinking a couple of drops in water or tea, or massaging into your skin. It can be used aromatically by inhaling, it can be used topically by rubbing on the skin, and it can be ingested orally (with or without a capsule). First, only use a quality therapeutic grade essential oil... and one that's labeled for internal use. Second, always keep the oil away from the eyes. Third, consider using a carrier oil (like almond or olive oil). With it's many uses, peppermint essential oil is an ideal oil for those new to essential oils. At the same time, it's an oil experienced oil users turn to again and again.